How do I download the Breeze Cam app to my phone? If you are on an iOS device go to the App Store and search for “Breeze Cam”. 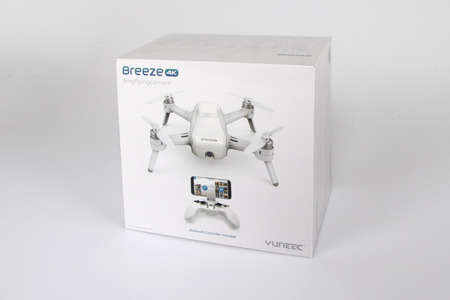 If you are using an android device, go to the Google Play store and search for “Breeze Cam”. How do I connect my phone to my Breeze? How do the task modes work? 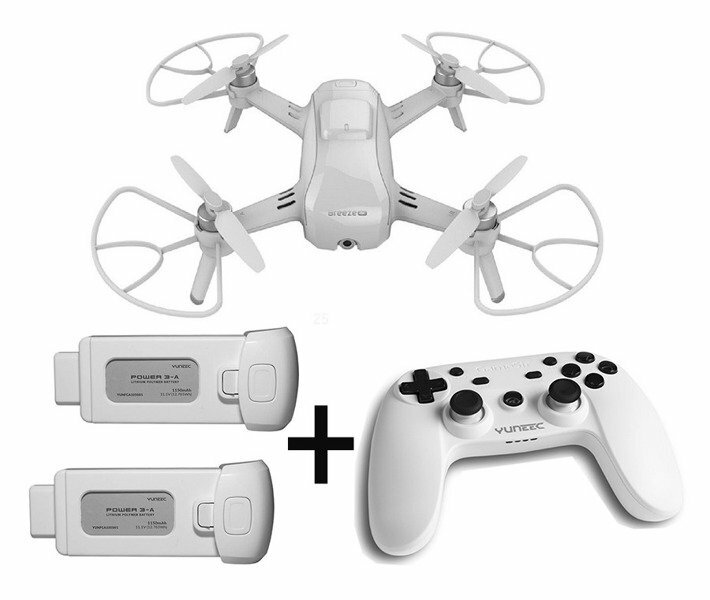 Pilot: In Pilot mode you have total control over the Breeze and can manually steer it using your virtual control sticks or by tilting your smart device like an ordinary RC model. 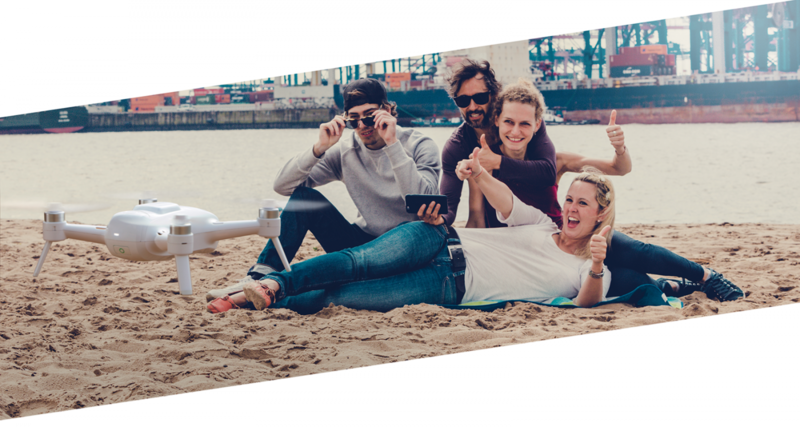 Selfie: In Selfie mode anyone can position the drone even without prior flight experience. Simply use the sliders in the app to adjust the distance and altitude – you’re ready to go. Say Breeeeeze. Orbit: In Orbit mode you can easily task the Breeze to orbit around you or another object. The flight can be paused at any time. Journey: In Journey mode the Breeze flies slowly away from you. You remain in the picture the entire time. It then takes the same path back to you. 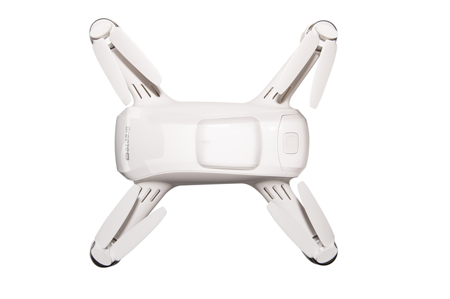 Follow Me: In Follow Me mode you fly the Breeze manually to the desired height and distance you want the drone to follow you from. The Breeze will then follow your every move (or that of your smartphone). How do I download images from the Breeze? You can download images from Breeze with two different methods. Firstly, open the gallery on the home screen of the app. After you select a photo it will download to your phone in full quality. You can also plug a micro USB cable into the Breeze to directly upload images onto a computer. Which social media sites can I share to? The Breeze’s internal memory is full. How do I clear it? If the internal memory on the Breeze is full, you will want to first make sure all your images and videos are backed up on your phone or computer. Next, you will need to go into the Camera Settings menu and select “Format SD Card”. Why does the image on my phone not look stabilised? 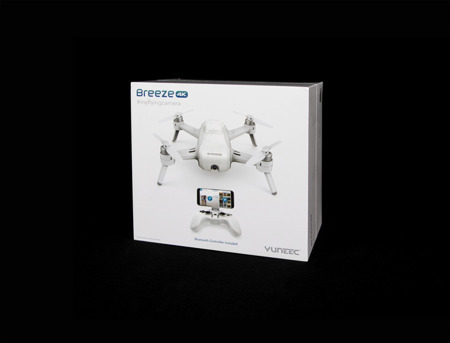 Breeze features Electronic Image stabilization of the recorded media and video downlink in 1080 & 720 HD settings. 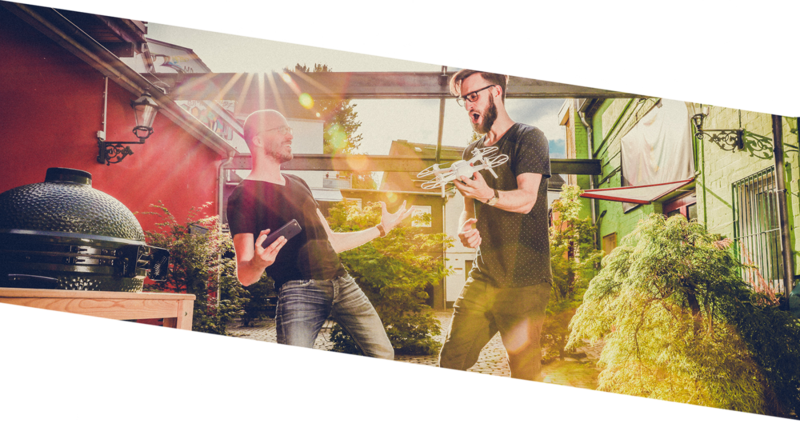 The downlink will not be stabilised in UHD mode and Photo mode. Can I change the video resolution? Can I change the downlink resolution? The resolution of the downlinks depends on the video settings. I can only use pilot mode. Why? 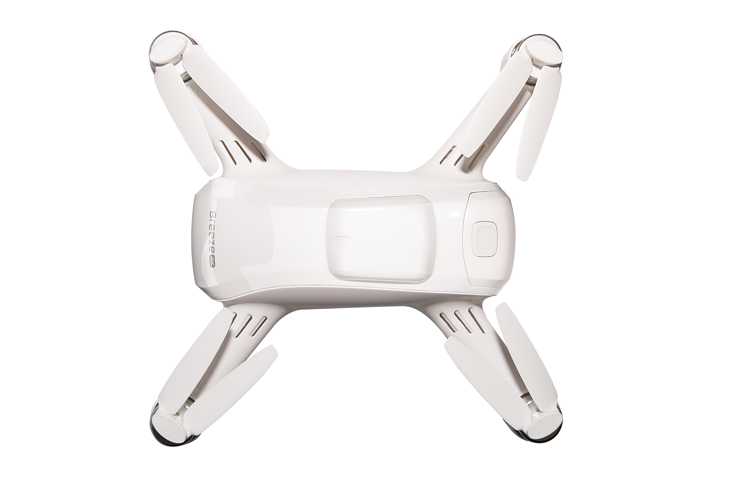 Will the drone hold position inside? Yes. Breeze is equipped with Indoor Positioning Sensors (IPS) that use textures on the ground to hold its position. 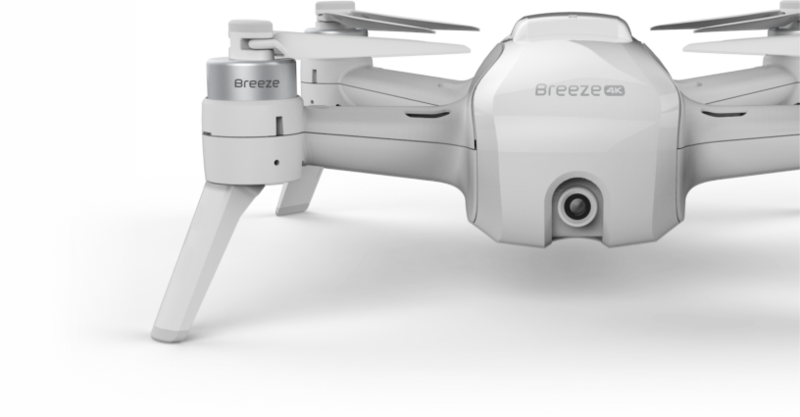 Breeze also has an infrared sensor that gives centimetre accuracy of altitude. It is highly recommended to use prop guards when flying indoors. My smartphone has disconnected from the drone. What should I do? 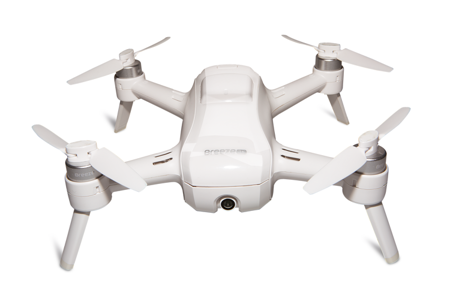 If your phone disconnects from the drone, do not close the app. The drone will reconnect automatically. When closing the Breeze Cam app, the Breeze returns to its starting point. Is my smartphone compatible with the Breeze? Your smart device should have at least iOS 8.0, Android 4.2.2 or have later versions and must be capable of 5 GHz. Compatible devices are, among others: IPhone (from 5S and later models), IPad (from 4th generation), Samsung TAB S2, Samsung Galaxy S5–S8, Galaxy A5, LG V10, LG G5, Huawei P9 and P9 PLUS, P10 Huawei Media Pad M2 10.0, M2 8.0, 10 Pro, 10 LTE, Sony XPERIA Z3, and others. What happens if I get a call in the middle of flying? If you get a call in the middle of flying, Breeze will hover in position and wait until you are off the call. What will happen if my phone breaks down or runs out of battery while flying? If your phone dies, Breeze will wait one minute in its current position then return to the take-off point and stop its motors after landing. Where can I find more information about the functionality of the Breeze Cam App? When you are in the app click “?” at any time. After clicking “?” an on screen tutorial for the mode you are in will pop up and guide you through each step. How do I install a firmware upgrade? Open the app and go to the settings. Select “Firmware Upgrade” and click on “Upgrade”. 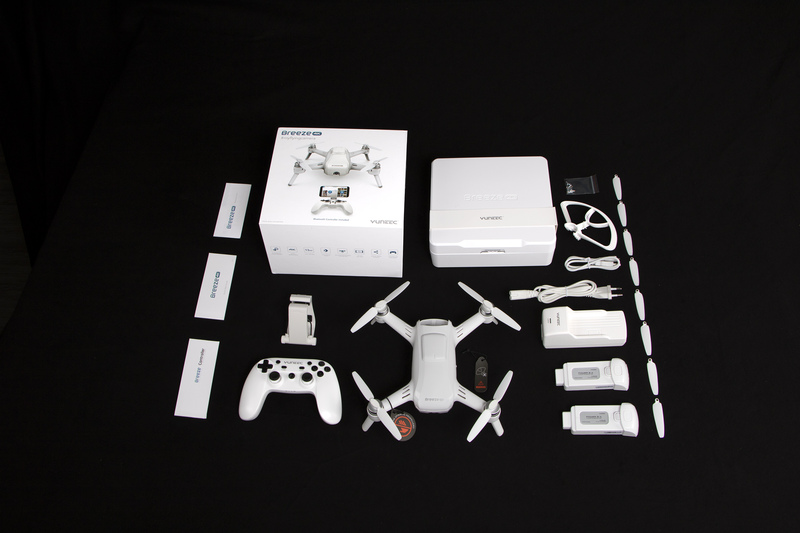 The camera, controller and flight control firmware will be updated. What is a compass calibration?